Download it for free on the App Store or get it on Google Play. 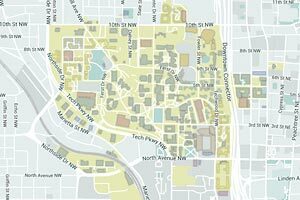 Create an account with your gatech.edu email address for full access for FREE!! 1) The Wellness Assessment will help you understand and track your levels of stress, anxiety and depression. Awareness of how your mental health changes over time will help you keep things in check. 2) Self-help Therapy utilizing WellTrack courses based in Cognitive Behavior Therapy. Helping you tackle the most common mental health issues like stress, anxiety and depression. Courses are delivered in short informational bites, designed with an emphasis on homework. 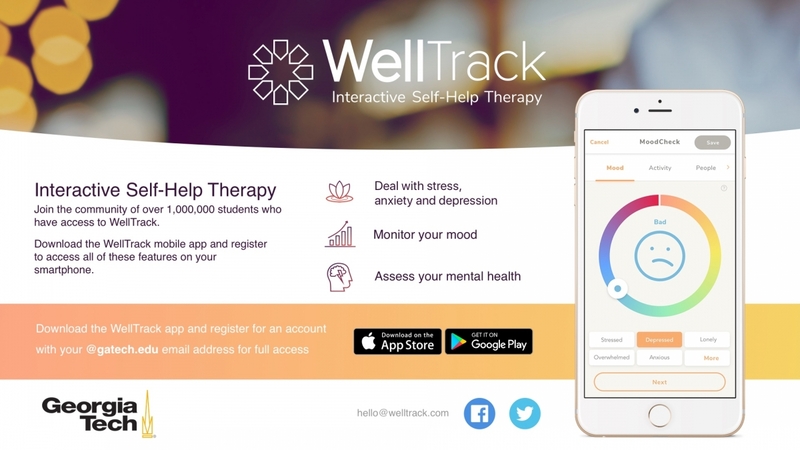 3) WellTrack interactive self-help tools use elements of Cognitive Behavior Therapy, Acceptance and Commitment Therapy and Mindfulness. From passive engagement to high intensity, there is something for everyone. 5) Maintain Your Mental Health by performing regular assessments, practicing relaxation and tracking your moods will go a long way to helping you maintain tip-top mental health.